In 2006, director Bong Joon-ho’s film The Host earned $90 million worldwide, becoming the highest-grossing Korean film of all time. The film, which chronicled a father’s attempts to save his daughter from a giant man-made monster, combined elements of science-fiction, comedy, political satire, and good-old-fashioned horror into an action-packed and highly enjoyable movie that crossed all cultures. Given the success of the first film, a sequel was a no-brainer, but news on the film has not been readily available. Now, thanks to The Hollywood Reporter, we have a few more details about the project, including an anticipated release date, budget, and, most importantly, the news that The Host 2 will be released in 3D. According to THR, The Host 2 has an expected budget of around $17.6 million. That is about $6 million more than producers spent on the first film. Undoubtedly, some of that budget will go toward releasing the sequel in 3D. Interestingly, producers are making no bones about why they’re spending the time and money to add 3D. Put simply, because everybody else is doing it. As someone who is not a huge proponent of 3D, this is the kind of news that really irritates me. The first film was a huge success. The second film will, more than likely, also be a huge success. If 3D does nothing but delay the movie from getting made without offering anything worthwhile for the viewer, what’s the point? Whether 3D is a good or bad thing for moviegoers is one of the more contentious debates in Hollywood. Obviously, studios like it because it brings in more money. Certain filmmakers like it because of the additional depth it gives to the filmmaking process (James Cameron’s Avatar pushed the limits of 3D technology in a way that actually enhanced the film). Fans, on the other hand, have not been as keen. Some like it for the novelty, but when it’s mishandled (as in Clash of the Titans or The Last Airbender) it can greatly hurt a film’s credibility. In any case, I hope that the decision to go 3D does not adversely affect The Host 2. I loved the first film and am hopeful that the sequel will offer similar laughs, chills, and thrills. 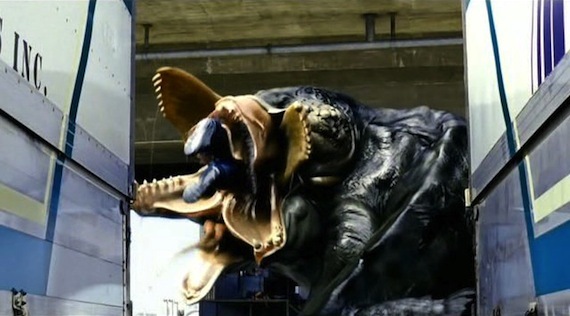 The Host 2 will likely be released in the summer of 2012.